I gave this recipe a bit of a makeover and don’t you think it looks amazeballs? (Ha! See what I did there?!) 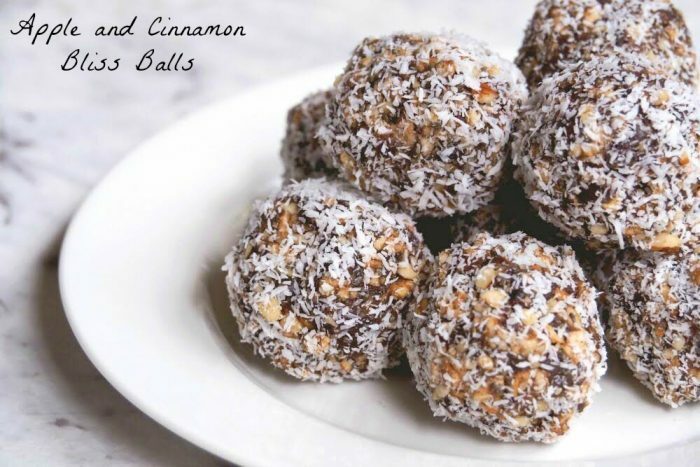 I’ve been asking my taste testers to get their chops around these bliss balls and the result? They loved them to bits. Isn’t it funny how everyone has a different approach to taste testing? David always wants to know the ingredient list before he takes a bite, and even after he’s tested and tasted, he’ll continue to ask because he always knows I save the best (and his worst) ingredient until last! I conveniently forgot to tell him about the dates until he’d cherished every morsel and given these balls his seal of approval. My neighbour, Luce insisted on eating her ball in silence so that she could savour (and guess) every ingredient. She could totally win one of those deconstruct-the-ingredient challenges on Masterchef, I tell ya! 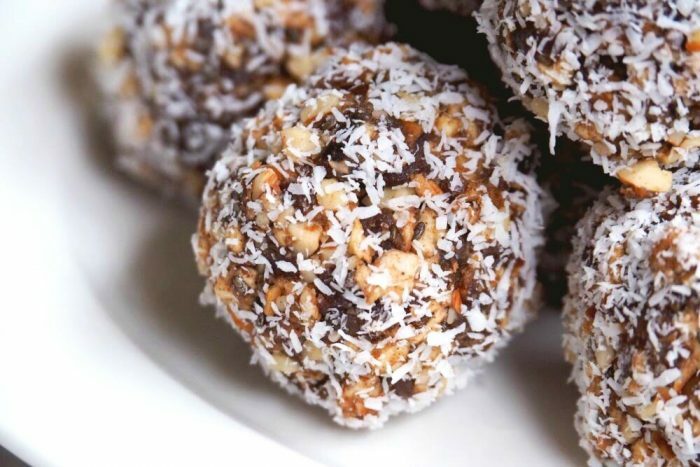 If you had one of these bliss balls, how would you taste yours?! Anyhoo, I remember how much I loved these on the low iodine diet. When you can’t eat dairy, eggs, seafood and anything with salt (which is just about everything) it feels like there’s not a lot that you can eat. 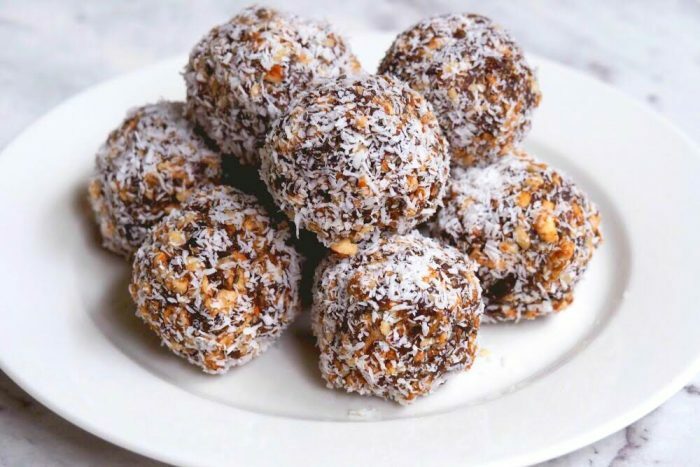 If you’re on the low iodine diet, these bliss balls are full of ingredients on the can-eat list and they’re also full of yum. 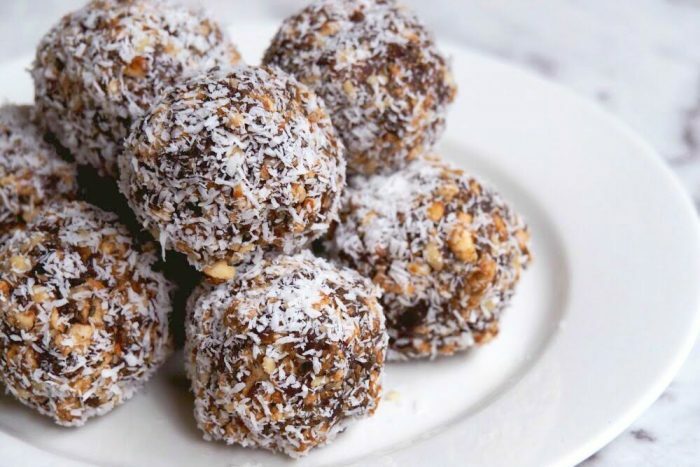 You can literally whip these babies up in a matter of minutes and not only are they low iodine, there’s no added sugar and they’re gluten free and dairy free too. But they’re not free of yum, that’s for sure. Apple and cinnamon were made to go together, don’t you think? These babies are a delicious treat, whether you’re on the low iodine diet or not. They are perfect for lunch boxes or as an after dinner treat and they’re totally irresistible!